The #1 replacement transfer cylinder jacket for Heidelberg presses in the world. The cross linked orange silicone coating reduces the surface energy of the PrintGuard ® glass beaded surface. This means that ink will not stick to the orange surface. Less ink attraction makes for less marking which means more profit. 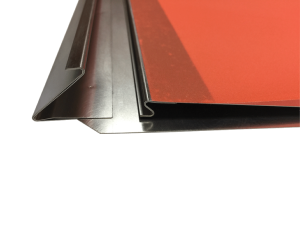 This new and innovative product for XL75 and CD74 features a stainless steel base jacket which is covered with an easily replaced PrintGuard Plus sheet. When the anti-marking surface reaches the end of its life the sheet is economically replaced using Press Part code PP1366.